The Belle Epoque Restaurant proposes European cuisine. The carefully prepared menu of the Chef is a proposal for gourmets ready for culinary travel. We offer a wide selection of wines and spirits to all exquisite dishes. For our guest who not staying with us over night, restaurant is open from Monday till Sunday at 12 a.m till 9 p.m. We also recommend special kids menu. We would like to invite you to our fency restaurant. Our guests who staying with us over night are alloud to use restaurant on the special convition and the convienient time. 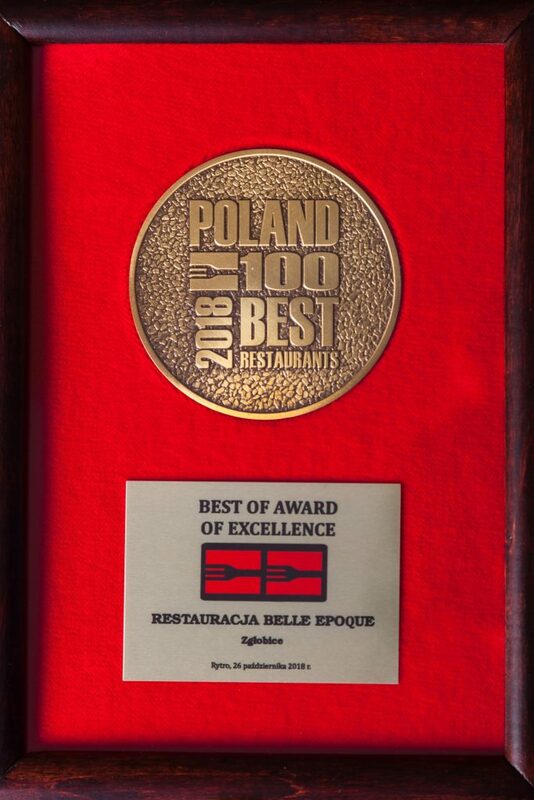 POLAND 100 BEST RESTAURANTS In 2018 our restaurant was in the elite group of 100 best Polish restaurants!